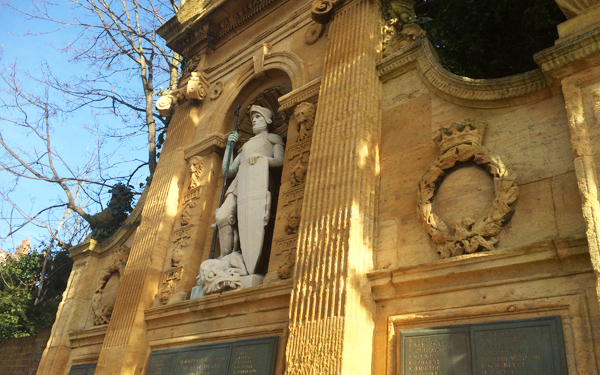 Between Minster Pool and Cathedral close is a tranquil and peaceful gardens that commemorates in remembrance all those that lost their lives in the First World War. Upon entrance two 18th century lions may be seen at the gate entrance. 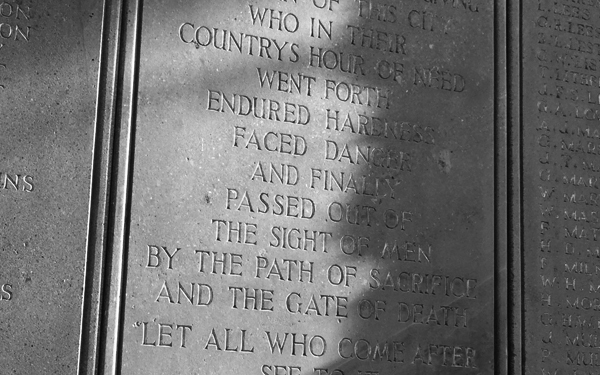 Opened in 1919 the monument still stands and is honoured each year in remembrance with wreaths and poppies being laid at its base. 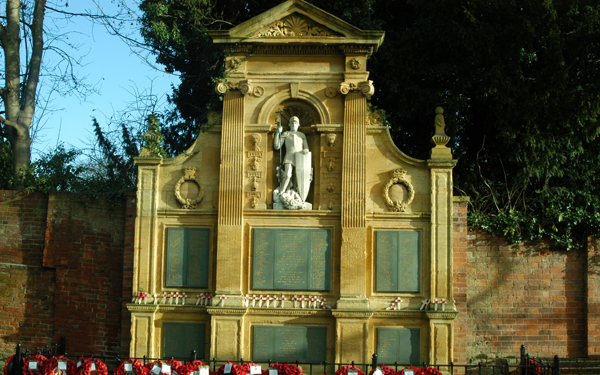 Panels were later added below to commemorate those who died in the Second World War. 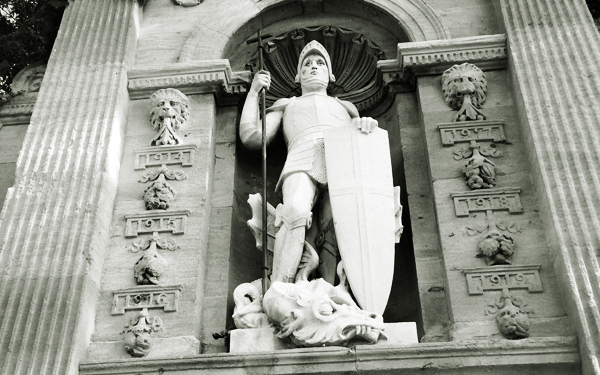 The memorial is carved from Guiting stone and shows Saint George carved in Portland stone in the center. Designed by architect Charles Edward Bateman and made by Bridgeman & sons (local Lichfield stonemasons).